To be launched this 2013. Price per book is P1,000.00; introductory price of P800 until July 2013. Are you a new or experienced "Certified Six Sigma Professional" in the Philippines and wonder how other certified professionals are doing? how to connect with them? Do you want to really know your market worth and how can you further capitalize from your "credibility indicator"? Are you driven, want to increase your self-worth, want to make a name for yourself, and would like to contribute BIG to your organization? 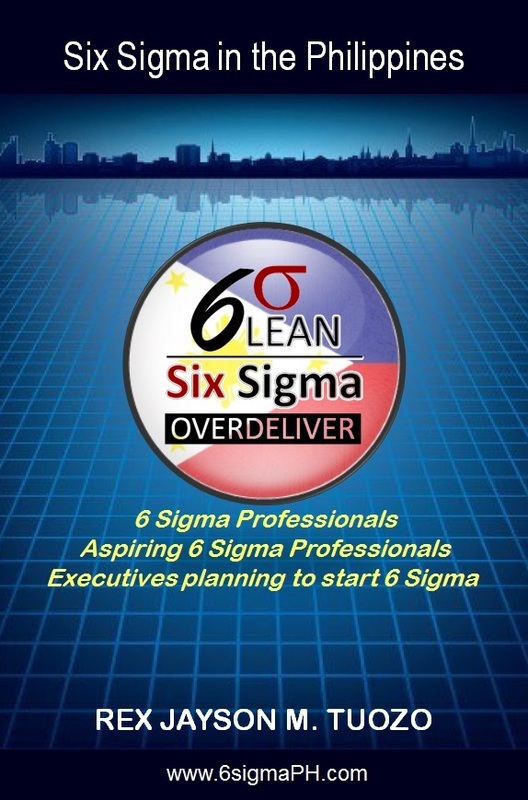 Do you want to increase your market-value, boost your career and be among the "elite, proud and few" certified Six Sigma professionals in the Philippines but is confused on where and how to start? Are you an executive planning to start a Six Sigma, Operational Excellence, Service Excellence or quality initiative? Do you want to know how to start, launch, and sustain the benefits of having a successful process improvement program to support your operations? Are you just sick of RECURRING problems, that even if you have implemented several actions to solve the problem it continues to stick?